Starring two-time Academy Award® nominee Jude Law (Sherlock Holmes, Enemy at the Gates) and directed by Academy Award winner Kevin Macdonald (The Last King of Scotland, Touching the Void). Black Sea centres on the story of a rogue submarine captain (Jude Law) who, after being laid off from a salvage company, pulls together a misfit crew to seek out a sunken treasure rumoured to be lost in the depths of the Black Sea. As greed and desperation take control on board their claustrophobic vessel, the increasing uncertainty of the mission causes the men to turn on each other to fight for their own survival. 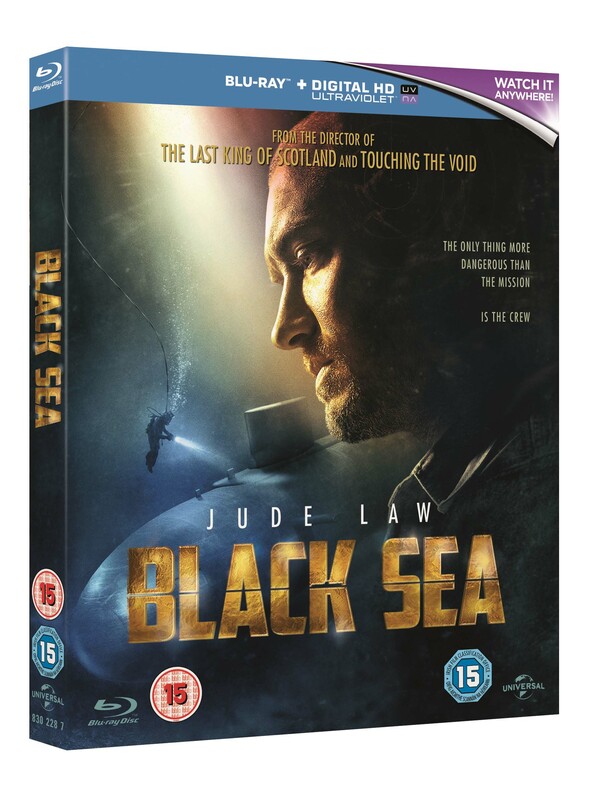 Prepare to venture down into the dark, unknown, shallows of the ocean Black Sea out now on Blu-ray™, DVD and Digital Download. 1. The competition ends at 23:59 on 10 May 2015. 3. The prize consists of a Black Sea Blu-ray™ & Poster.